Please note ! All dates are subject to changes. Digital display is much better than traditional exhibition mode in content, effect and even in application field. 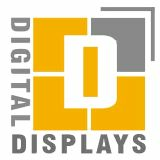 Digital display specific content includes the holographic projection, interactive multimedia, electronic sand table, augmented reality AR, virtual reality VR, somatosensory interaction, annulus/ball screen system, construction projection, the water curtain movie, an system, electronic books, digital interactive and 3D display etc. It is widely used in the field of real estate recovery, digital city, historic sites, virtual tour, special effects, project preview, industrial simulation, urban planning, architectural design, culture and tourist attractions, industrial facilities and process simulation, film and television production and product display,etc. Shanghai Modern International Exhibition Co., Ltd.